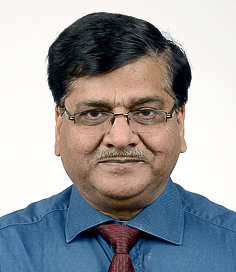 Dr. J. P. Sharma has joined Joint Director (Extension), IARI, New Delhi on 1st October, 2014. Previously he was working as Head, Division of Agricultural Extension and Director, Centre for Advanced Faculty Training (Extension) at Indian Agricultural Research Institute, New Delhi. He has a vast experience of 28 years conducting strategic research, guiding, teaching post graduate students, conducting national / international training programmes and carrying out agricultural extension activities in the farmers’ field. He earned his Doctoral degree from IIT, Delhi and Post Graduation from GB Pant University of Agriculture and Technology, Pantnagar, and was awarded Fellowships from IIT and UNDP respectively. He is an accredited entrepreneurial motivational trainer. He has to his credit researches on highly relevant topics like assessment, refinement of agricultural technologies, peri-urban agriculture and entrepreneurship development conducted as part of funded projects from reputed national/international organizations. Many models, strategies and extension approaches as a result of these studies have now been incorporated in the present extension system. He has published more than 300 papers in reputed journals, magazines and newspapers, published 30 books, bulletins and is editor of journals of repute like Journal of Community Mobilization for Sustainable Development. He has organized more than 100 trainings including national & international programmes as course Director on the topics of national relevance. Dr. Sharma is member of various national & International professional committees and has been invited as consultant / expert by various organizations. He has contributed a lot as Founder President, Society for Community Mobilization for Sustainable Development and Secretary, International Federation for Women in Agriculture. He has received more than 60 awards/ recognition including some international awards for making outstanding contributions for the upliftment of the farming community.